You are at:Home»Small Business»Can A Virtual Assistant Help Your Small Business? 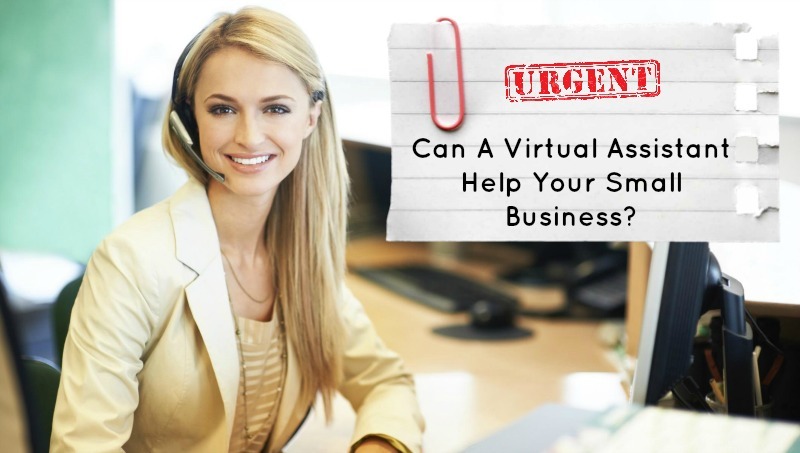 Can A Virtual Assistant Help Your Small Business? 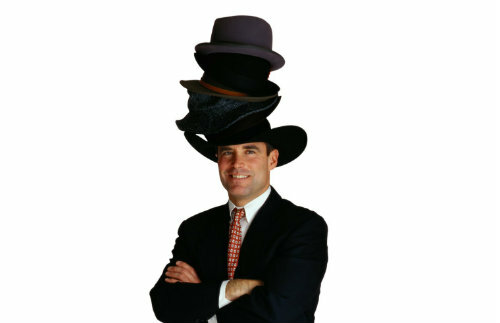 Small business owners often have to wear many hats in order to keep their business moving along. You have the day to day tasks as well as accounting, online marketing, social media, advertising, etc. Taking care of all of these duties makes it difficult to focus on your the primary mission of your business. Now, if you have a small business with several employees then you may have someone to help with these things but most small business owners are working on a shoestring budget and end up doing most of this themselves. I am a consultant and have no employees which means I wear all of the hats for my business. There are many times when I could have used an extra pair of hands to help me keep up. As my business has grown I’m at the point where I could use someone on a semi full time basis. The problem is that when you hire an employee you don’t just pay their salary or hourly wage. You have to pay social security and payroll taxes. As a responsible employer, I feel like I should provide my employee with benefits such has health insurance, sick leave, vacation days, and retirement benefits. These all add up very quickly. I know that many other consultants and small business owners are in the same boat. Managing Client Appointments – You want to spend time meeting with clients and actually doing the work you enjoy. That’s great, but scheduling appointments with those clients can be a pain. This is an easy task that a virtual assistant can help you with. Email Filtering – This is one task that has me seriously considering using a virtual assistant. I get hundreds of emails every day in three different accounts. I have my personal account, which some clients email me at, and I have my email from this blog, and finally my business email account. A virtual assistant could go through and weed out the spam and junk emails. This leaves me only the important emails to deal with. Answering The Phone – I use Google Voice for my primary business number which means it can be answered anywhere. Having a virtual assistant answering my phone would also make my company appear larger and more professional. Provide Web Support – My site has a help desk built in so my clients can submit help requests via the site, Twitter, or Facebook. A virtual assistant could monitor this help desk software and respond to clients on my behalf. Support takes a lot of time away from my business. I have a set of standard solutions to common problems. It would be very easy for the virtual assistant to simply respond to the clients with the appropriate solution. Web Research – I can’t tell you how many times I have to research different items when preparing quotes and proposals for clients. Having a virtual assistant to find the information for me could be a huge potential time saver. Social Media Management – Responding to tweets and Facebook messages is a great way for a virtual assistant to help a small business owner. How many times have you heard people bad mouthing a company because they don’t respond to questions online. A virtual assistant could also post content for a small business owner on Twitter and Facebook. Those are just a few things off the top of my head that a virtual assistant could do to help a small business thrive. Now let’s look at one company that provides these services. I’ve been doing lots of research and I’m looking at 24/7 Virtual Assistant (http://www.247virtualassistant.com). 24/7 Virtual Assistant is based in Atlanta, GA and they give you the option of hiring a US based virtual assistant or an offshore VA. Each plan has it’s own pricing plans. However, 24/7 Virtual Assistant is launching a new hybrid plan where you can have a US based VA and an offshore virtual assistant on the same plan. Your US based virtual assistant will be your primary but you will have access to an offshore VA so you can assign less critical tasks to for half the cost. This plan has the potential to save small business owners a ton of money and give them a leg up when competing with larger companies. With 24/7 Virtual Assistant you are provided a dedicated virtual assistant. This means that your VA will learn your needs and the two of you can develop a great working relationship. This is much better than dealing with a different person each time. You are given an email address and VOIP number so you can get in touch with your virtual assistant whenever you need them. Of course, if you aren’t happy with your dedicated virtual assistant then you can be assigned another. Let’s be honest, sometimes two people just don’t click and you need to be on the same page when working together. In looking at the prices above you will notice that the top plan (160 hours) is the equivalent to a full time employee and that works out to roughly $15/hour. Remember, you aren’t paying payroll taxes, social security, or benefits. You’re getting a dedicated employee for a fraction of the cost of an onsite employee. My hubby was just talking about a business idea and he may need a VA if he decides to try it. It is hard to wear all the Hats in business plus the mom hat…all of them. I’d love a VA, thanks for the info. I love the idea of having a virtual assistant. But I’ve been weary because the companies are usually overseas.